This week is the birthday of Boy Scouting in America and troops are celebrating everywhere with different activities. Our Pack and Troop will be assisting at Mass Saturday afternoon and then we have an awards banquet afterwards. 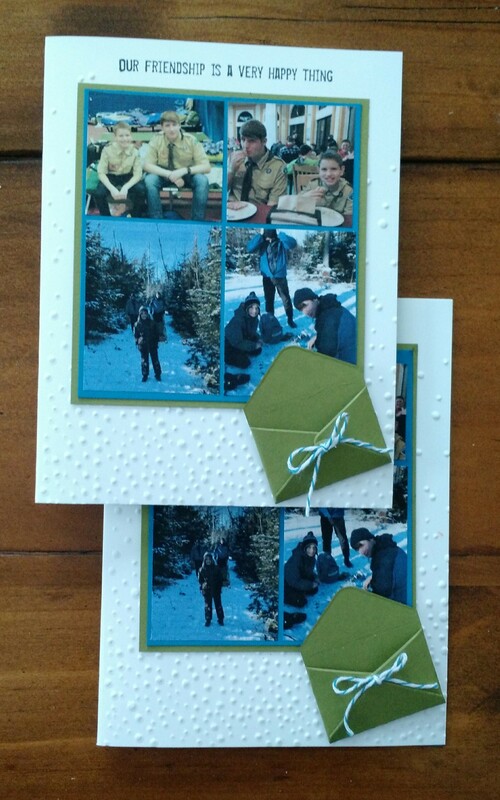 These are cards I made for our two new Scouts who made Scout rank last month. (The ranks of Boy Scouts are Scout, Tenderfoot, Second Class, First Class, Star, Life, Eagle). Each rank comes with its own requirements and Merit Badge requirements. The boys already received their rank patch but in these little Old Olive envelopes will be “Good Turn Coins” which the boys put in their pocket. When they have done their good deed for the day, they switch the coin to their opposite pocket. The little pocket was made with the Love Notes Framelits Dies. This card design was inspired by one of the many card design challenges that can be found on the internet every week. I used photos from a big Scout trip we took this past weekend to the annual Klondike Derby for Boy Scouts held every year on the Maine coast at Maine Maritime Academy. It was cold (11 degrees) but so much fun! 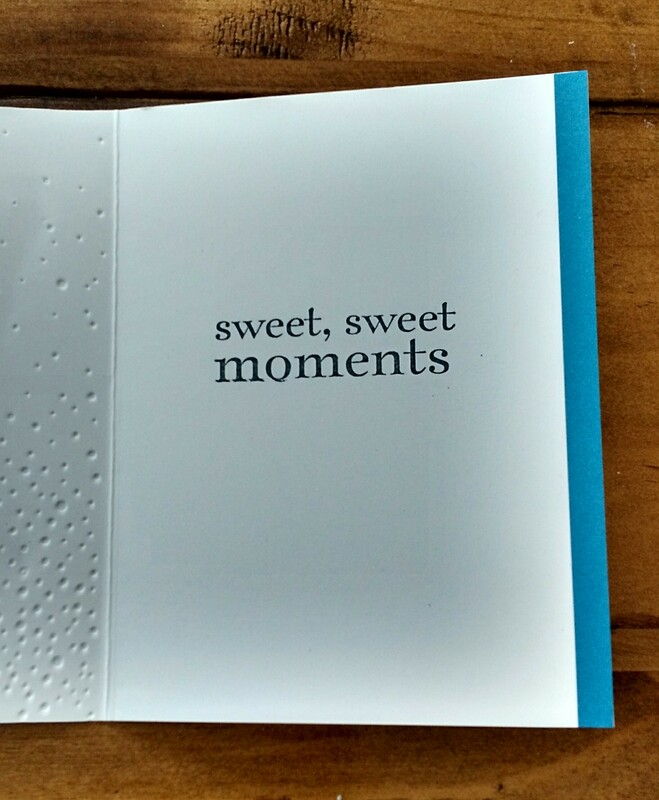 The base of the card is embossed with the Softly Falling Embossing Folder and the sentiment, “our friendship is a very happy thing” is from an old Sale-A-Bration set called “A Happy Thing”. (The two Scouts in the photos are best friends.) 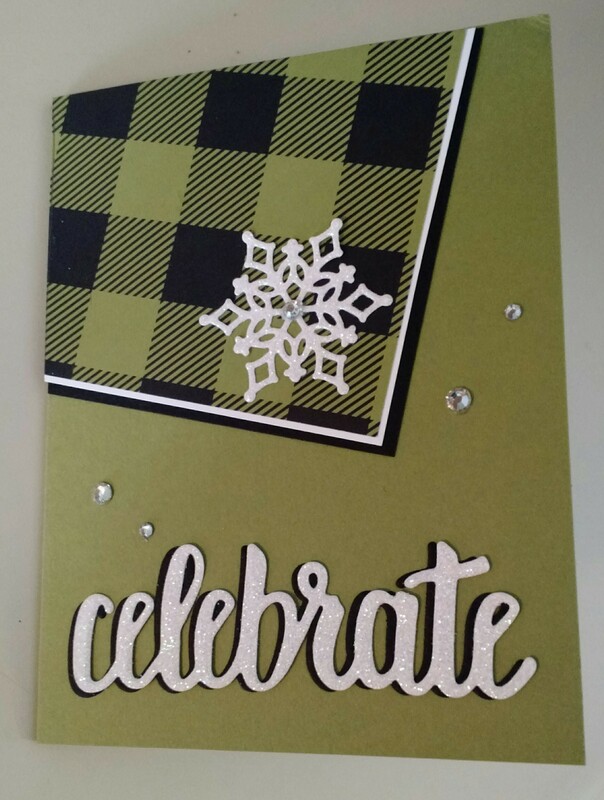 The sentiment on the inside of the card is also from a very old set called “Happy Day” that some of my earliest stamping friends will have. Another sentiment I considered was “Best.Day.Ever.” but we were at the event for three days so it was knocked out of the running. : ) The inside looked a little plain so I added a small strip of Pacific Point Cardstock. And finally, since this card will be presented at a banquet of 125 people, I wanted the envelope to be embellished. 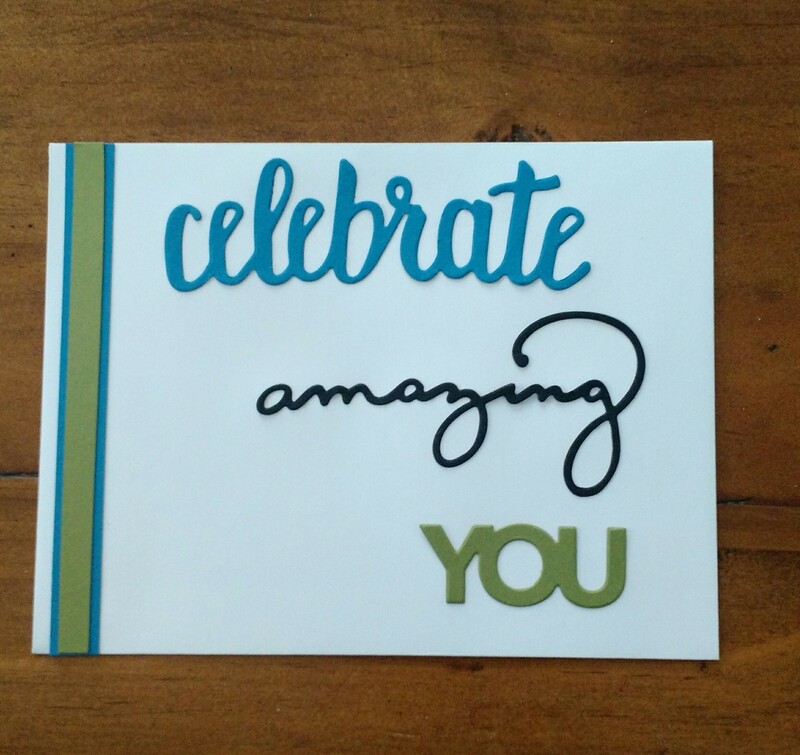 I used the new “Celebrate You” thinlits that are offered free with a $100.00 purchase in the Sale-A-Bration catalog. The “ribbon” on the side of the envelope is made with cardstock.